In episode 75 of DBS, Chichi produces a strong red aura when she was angry. 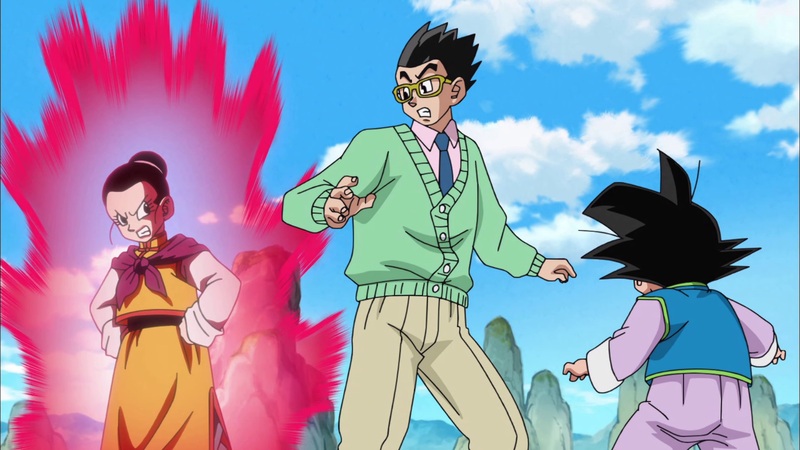 Similarly in DBZ, Chichi seems to produce the same red ki when Maron called her an old lady in the Garlic Jr. Saga. 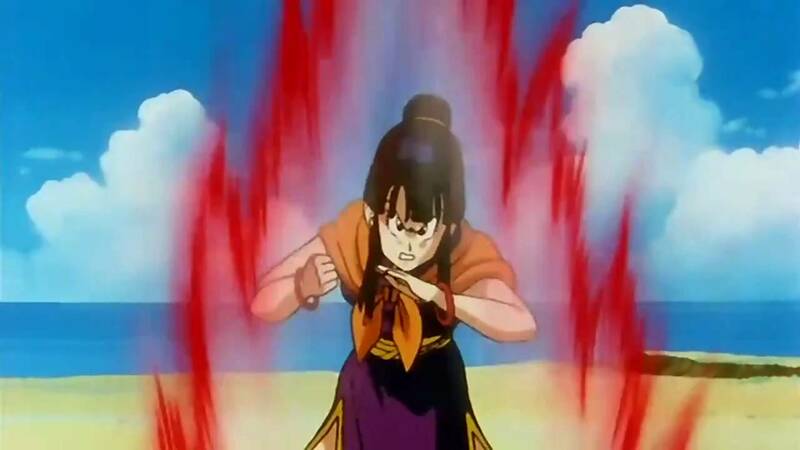 It's unlikely to be a kaioken because the dragon ball dedicated wiki doesn't include her in the kaioken users list. What exactly is this red aura? We don't see it on other Z Fighters except for Goku. It's just for humor. This is seen in a lot of anime, including one piece, where female character appears to be stronger than the protagonist as well when angry, and proceed to beat them up. Don't think too much into it. It is simply used to show that she is angry. Red colour is often associated with anger and showing it as an aura just highlights that she is really very angry. We can safely rule out that it isn't some sort of hidden power that she has or she would have used it in the face of danger. This can further be supported, if you recall, the scene in Dragon Ball GT when Baby had taken over Goten. He initially thought that Chi-Chi was the strongest on Earth by looking into Goten's memories and emotions. He later realised that Chi-Chi wasn't the strongest but Goten felt that way towards her because she was his mother and he respected her and was afraid of her when she became angry. By this we can safely assume that Human or Super Saiyan you don't want to be around - and especailly be the cause of Chi-Chi's anger. And what better way to illustrate this than a fiery red aura of anger? Not the answer you're looking for? Browse other questions tagged dragon-ball-series dragon-ball-z dragon-ball-super or ask your own question.